Spring is finally here! If you live in the NY area and would like to join in a fun hands-on class in Chinese or Asian cooking, here are some upcoming events for the spring. Love dumplings and eager to make them at home? Join us in this 2-hour dumpling extravaganza, now at West Elm Market in DUMBO! We’ll learn the basics of wrapping both Chinese dumplings and wontons. Even if you've never cooked Chinese food, you can easily learn how to make scores of dumplings with these simple techniques. After hands-on practice in wrapping, we will move on to the cooking process. You'll learn a sure-fire method for pan-frying dumplings to crispy perfection. 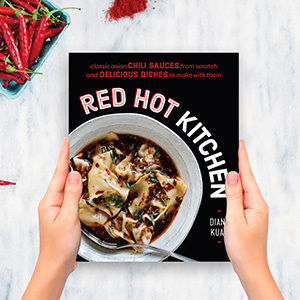 And you'll also learn how to prepare the wontons as a deliciously spicy Sichuan appetizer, and get tips on other ways to prepare them at home. And vegetarians are welcome! Both meat and vegetarian fillings will be available to work with. Sign up here! Discover how to use the best in-season produce to create an array of Asian dishes that will make your mouth water. We'll apply techniques such as stir-frying, steaming, and dumpling-making to create a colorful and sumptuous, Asian spring feast. Sign up here! Spring is a great time for exploring the farmer's markets. In this class, we'll use techniques for Asian cooking in an array of dishes, including salads, noodles, dumplings, and stir-fries. Sign up here! A class based on my new cookbook! Learn how to recreate your favorite takeout dishes at home with simple techniques and all-natural ingredients. We'll explore an array of dishes while celebrating the rich history of Chinese food in America. 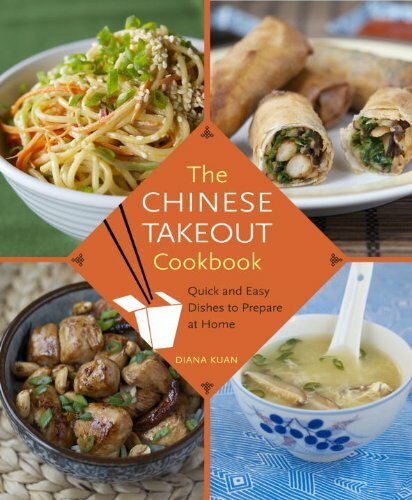 Recipes include Scallion Pancakes, Cold Sesame Noodles, Barbecued Spareribs, General Tso's Chicken, and many more. Sign up link posted soon.